Google are holding their I/O Developer Conference in May, and we are expecting Google to announce Android 5.0 Key Lime Pie, as well as some new Android devices, and now it would appear that we may see a new Nexus 7 tablet from Asus at the Google I/O. According to a recent report Asus will be showing off the next generation Nexus 7 tablet at Google I/O in May, the tablet is rumored to retail for around $249 and is designed to compete with higher end 7 and 8 inch tablets. 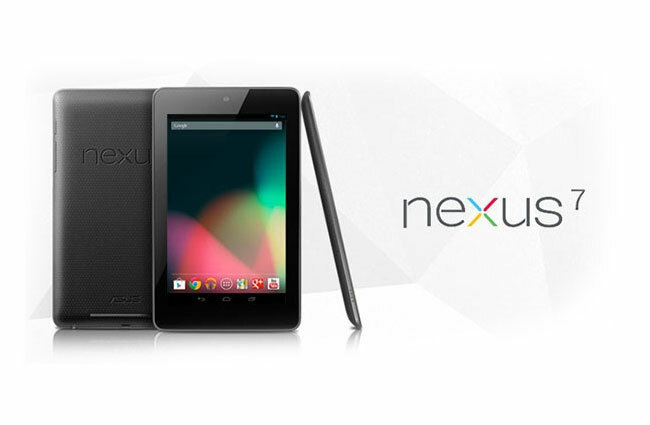 We suspect the next Google Nexus 7 tablet will come with an update display, possibly a full HD display and a faster processor, although there are no details as yet on exactly what upgrades the nexus 7 will get. Asus are also rumored to be working on a new smartphone, with a 5 or 5.5 inch display that will apparently use an Intel Atom Z2580 Clover Trail+ processor, this device is rumored to be announced around June.